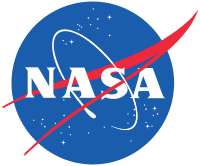 Applications for the 2018-19 NASA Space Grant Undergraduate Scholarship Program at Augsburg University are now being accepted. What is the NASA Space Grant Scholarship at Augsburg University? This scholarship program supports the advancement of academically focused undergraduates seeking professional careers in the natural sciences, especially space physics and engineering, mathematics, and science/mathematics education. Be a citizen of the United States of America. (Permanent residents are not eligible to apply). Be a full-time student (spring semester 2019) in good standing at Augsburg. Have completed and submitted the scholarship application packet (see below) by Friday, January 18, 2019. Are a sophomore, junior, or senior majoring in physics, chemistry, biology, mathematics, computer science, pre-engineering, or mathematics/science education. Can demonstrate strong academic performance and leadership within their major area. Show an interest in contributing to NASA’s mission. Academic performance and promise in STEM and diversity are the primary factors considered in awarding these scholarships. Students from traditionally underrepresented groups in science and mathematics fields are especially encouraged to apply. No applicant shall be denied consideration based on race, creed, color, national origin, age, gender, sexual orientation, or ability. Emerging Scholarship (Sophomore-Junior) Four scholarships of $1,000 to encourage students whose course of study shows progress in meeting the criteria of this scholarship program. Enhanced Scholarship (Sophomore-Senior) Two scholarships of $2,000 to support students who have shown considerable progress in meeting the criteria of this scholarship program. Read the NASA Scholarship Cover Letter. Complete the following NASA Application Form. Arrange to have a letter of reference provided on your behalf. You may share the Letter of Reference Form with your reference. Applicants will not be considered unless all requested information is complete. Scholarship materials must be submitted by Friday, January 18, 2019 to be considered by the NASA Undergraduate Scholarship Committee at Augsburg. Contact: Dr. John Zobitz at zobitz@augsburg.edu. Correspondence can be mailed to: NASA Space Grant Program, Augsburg University, Campus Box 135, 2211 Riverside Ave., Minneapolis, MN 55454.